Losses due to cybercrime in the U.S. continue to grow, exceeding $1.3 billion in 2016. Cybercriminals work from around the world in the borderless world of cyberspace. Increasingly, organized crime groups are responsible for these activities. All this means that cybercrime represents a serious threat to businesses around the globe. Your business needs to protect your IT systems and valuable sensitive information. We’re going to tell you about the cybersecurity statistics you need to pay attention to. Projections suggest the worldwide damage caused by cybercrime will reach $6 trillion annually by 2021. This is a substantial increase from the $3 trillion cost in 2015. Cybercrime is a rapidly spreading and costly threat to businesses everywhere. About half of the world’s population had access to the internet in 2017, and this number is expected to reach 75% of the world’s population by the year 2030. This will increase the number of potential victims cybercriminals can exploit as well as increase the number of criminals who have access to the internet. Costs to victims of ransomware attacks were estimated to be over $5 billion in 2017. Experts expect the cost of these attacks to continue to grow each year as the number of ransomware attacks increases. Globally, spending on efforts to counter cybercrime will hit $96 billion this year. 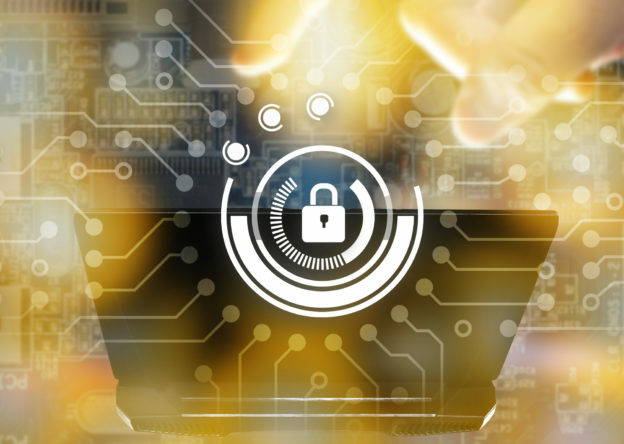 With the number of cyber attacks and data breach incidents growing, companies are increasing their cybersecurity spending to avoid becoming the next victim. Projections suggest the increased spending on cybersecurity will continue in the coming years and surpass $1 trillion by 2021. In the ever-evolving cat and mouse game of cybercrime, defending against cyber attacks requires increased resources. 6. Cybersecurity Experts Are in Short Supply. The spread of cybercrime and the need to defend against it creates a need for more cybersecurity professionals to fill vacant jobs. It is important that companies hire the best IT professionals possible to protect their systems. By 2021, experts predict there will be 3.5 million unfilled cybersecurity positions, leaving many businesses at risk of cybercrime. Cybersecurity statistics confirm when an organization does fall victim to cybercrime, the cost is steep. Estimates place the cost to businesses of a successful attack at over $5 million. These costs explain why many organizations have taken steps to increase spending on cybersecurity to prevent future attacks. The cybersecurity statistics point to the cybersecurity challenges facing businesses of all sizes. Whether it’s protecting against cyber attacks or meeting regulatory compliance, you need help. This involves making sure you’ve taken care of threat management and data security to protect your IT services and your sensitive data. We can help you. Our experts are happy to discuss the data security and compliance needs of your business.